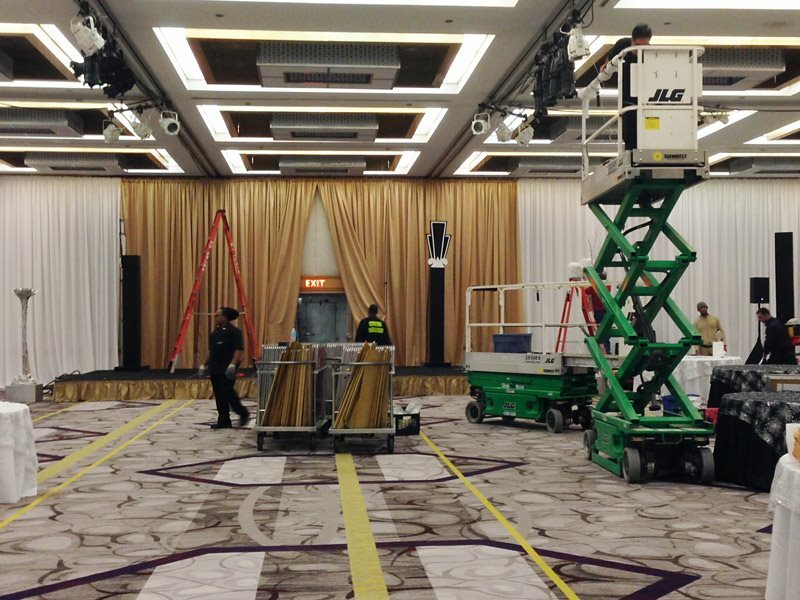 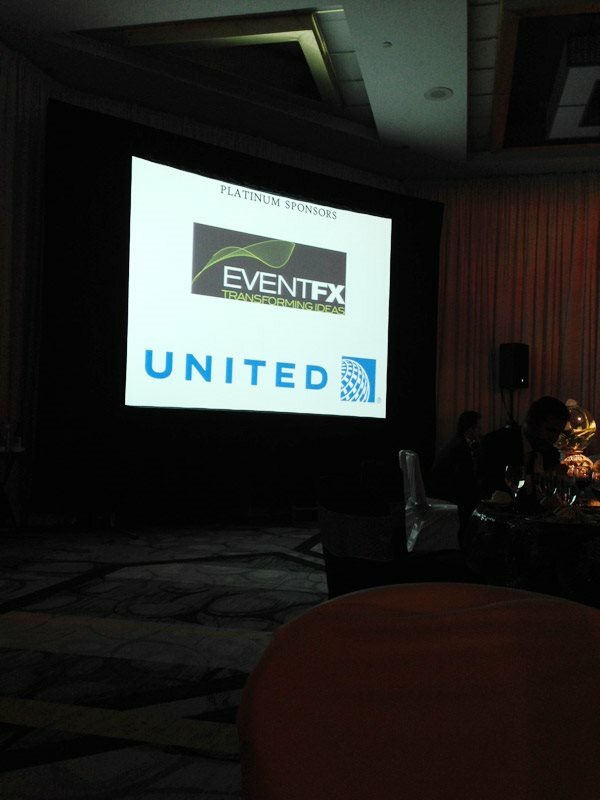 January, 2014 - Event FX Productions, Inc.
Congratulations to EDEN Autism Services on their 26th Annual EDEN DREAMS Gala. 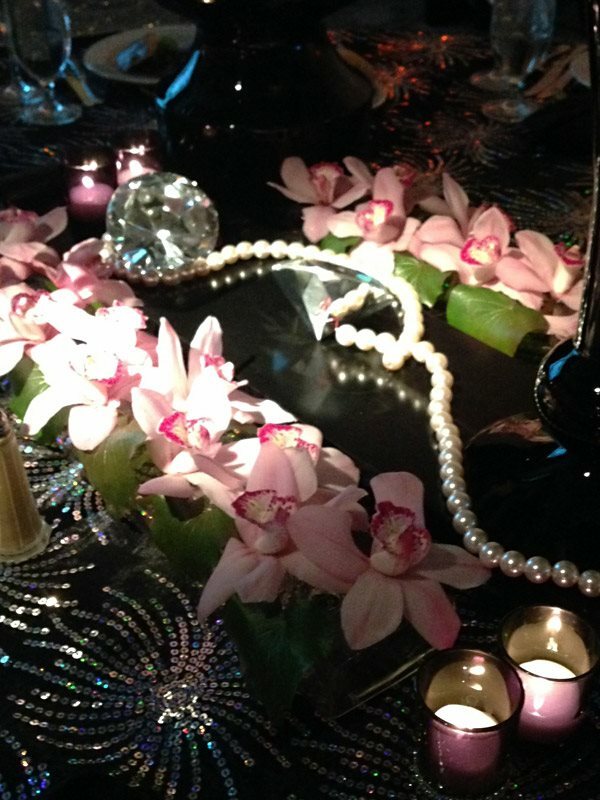 This years theme, Dreams of Gatsby, took guests back to the exuberant 1920's . 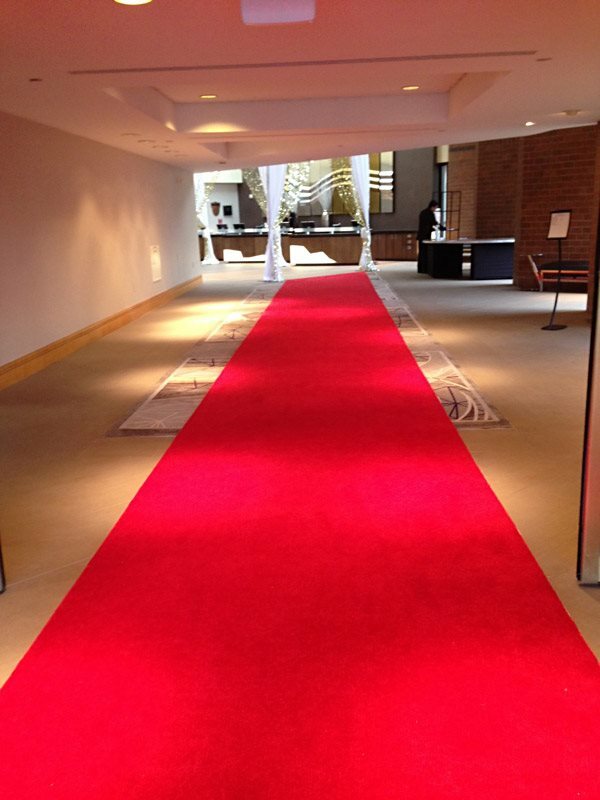 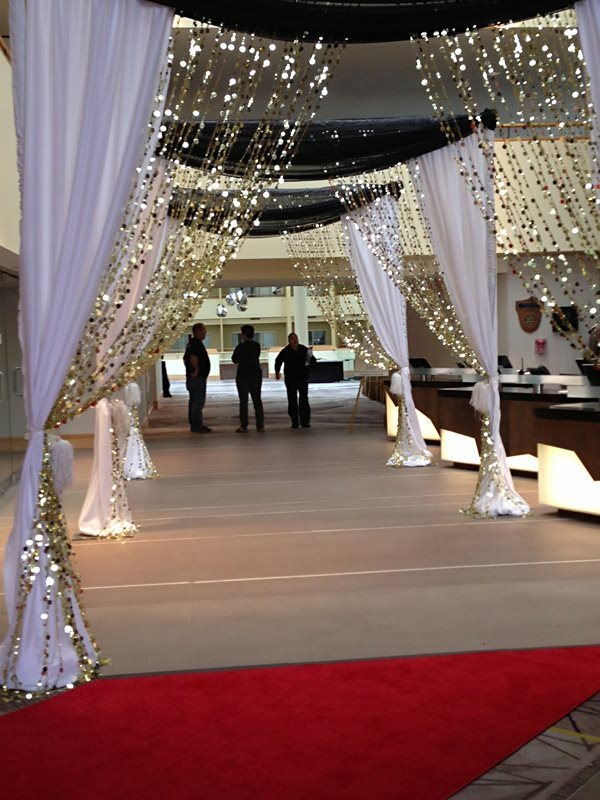 Guests walked the red carpet through shimmering archways. 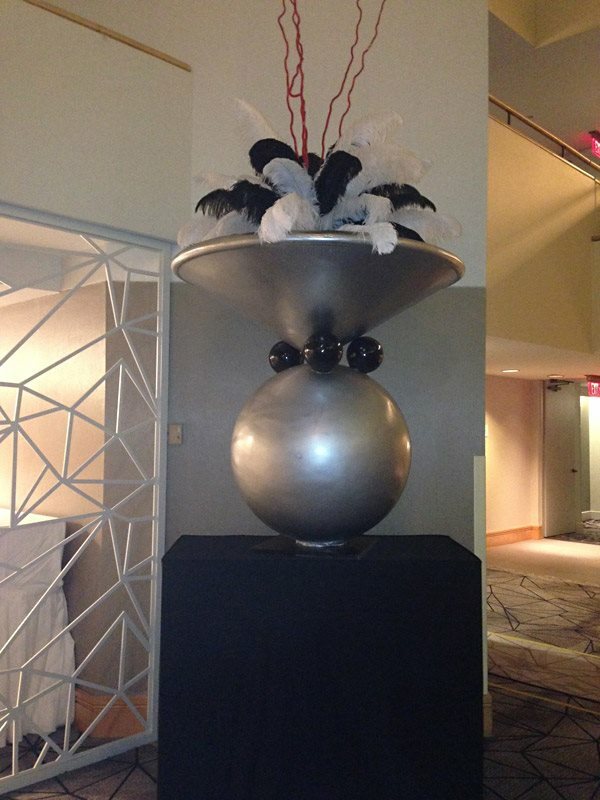 Giant Martini urns defined the bars. 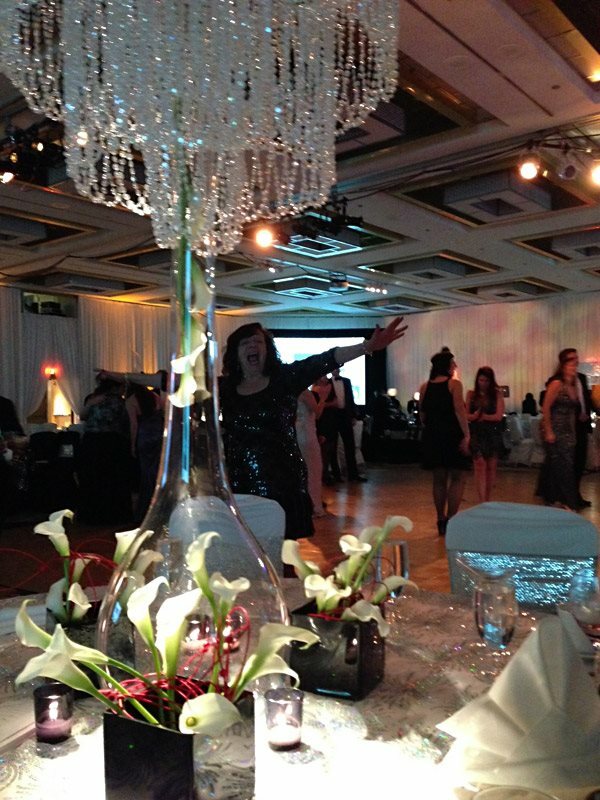 The ballroom was draped in white with a gold backdrop, art deco columns and feathered torchieres set the stage. 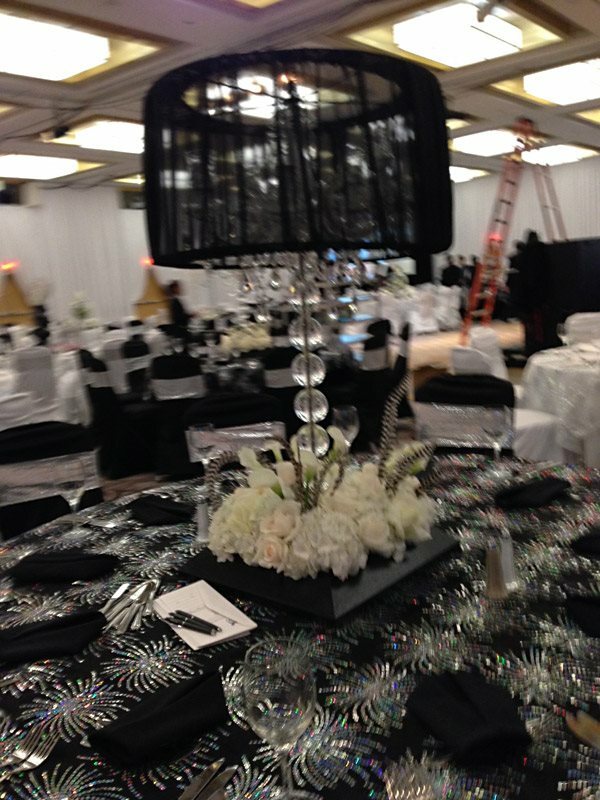 Glittery fireworks glistening as table linens. 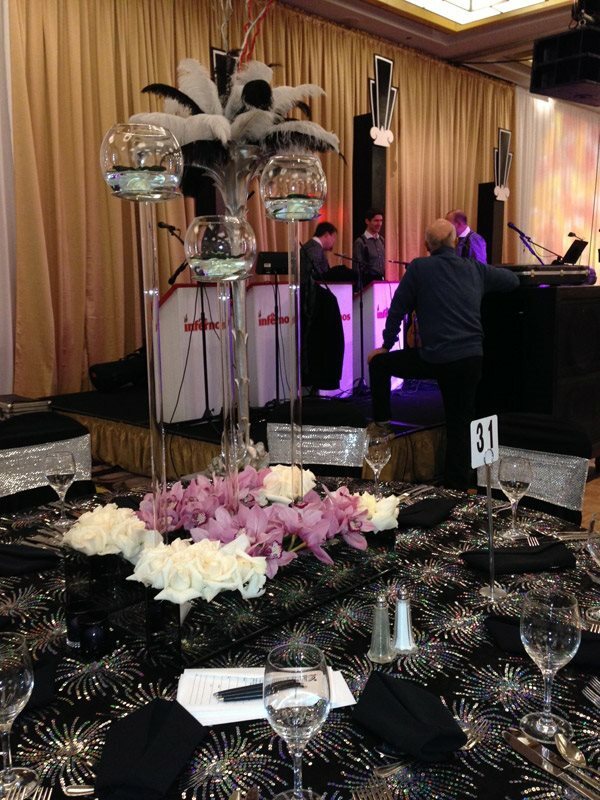 Centerpieces featured crystal candelabra and glass risers graced with orchids, gardenias, roses, and hydrangea accented with pearls and diamonds. 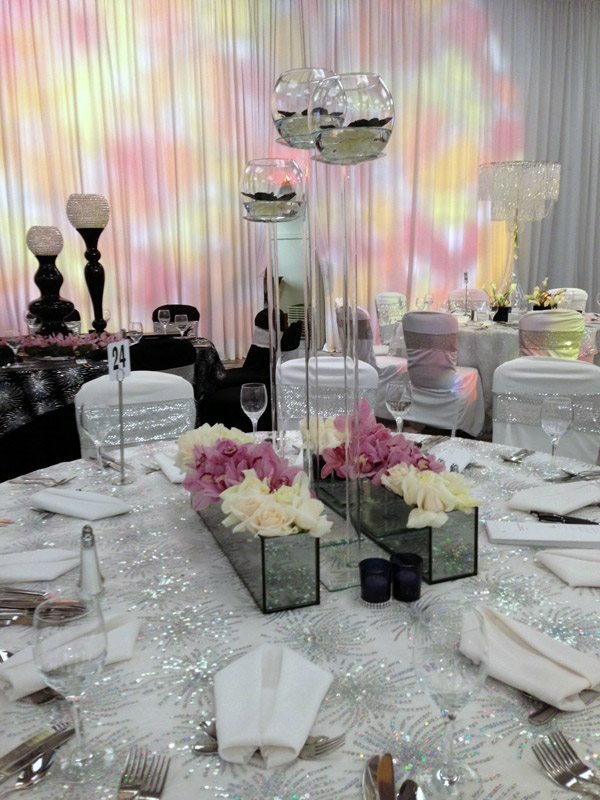 Beautiful crushed dichroic gobos and golden amber color tables created the perfect ambiance.